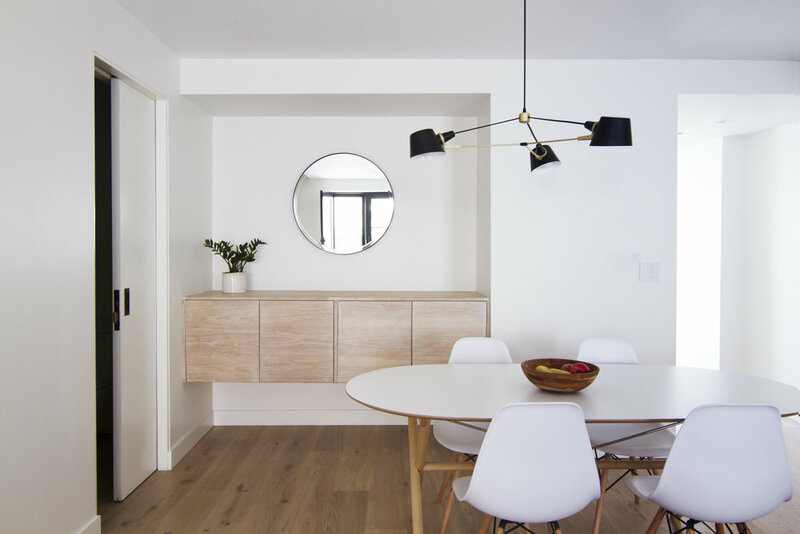 A young family approached General Assembly to help them combine two apartments in the Williamsburg neighborhood of Brooklyn. They hoped to create what felt more like a home than a small New York apartment. We wanted to bring in as much light as possible and create an airy, but comfortable space. We accomplished this by opening up the living room to the rear patio and drastically enlarging the kitchen on the bottom floor. We used materials like light natural oak to soften the feel of the space. In order to reflect some of the feel of the surrounding neighborhood into their home, we decided to use several light fixtures, wallpaper and tiles that were made by local designers in the renovation. The final result was a clean, open space dotted with moments of design that are particular to this family and their neighborhood.